The most effective use of this unique dental product is stabilization of a lower denture. There are approximately 120,000 people in the UK who are "edentulous" (literally meaning lacking teeth), struggling daily with prosthetic devices. The majority suffer discomfort as a result of loose or ill-fitting dentures. Some withdraw from any type of social engagement as a result of wearing them. It is also not uncommon for family members to complain about a denture wearer's disagreeable breath as a result of food being trapped and decaying under their denture prosthesis. 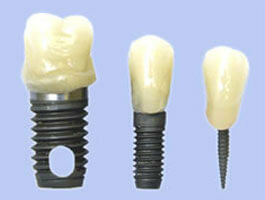 Successful placement of the mini implants addresses and solves all of these social and practical problems. As a revolutionary departure from routine implant methods, mini implants are so narrow they are typically inserted directly through the overlying gum tissue and into the bone underneath. Consequently the need to surgically cut and "flap" open the gum tissue, routinely required for standard implant systems, is avoided in most mini implant applications. As a result, post-insertion patient irritation and soreness is significantly reduced. While all dental implants require care during insertion to avoid encroaching on vulnerable nerve, sinus or bony structures, the ultra small width of the mini implants offers a much more comfortable margin of safety. Cosmetic Dentist Hertfordshire - Implants dentist in Hertford offer dental implants, mini implant dentistry, tooth implants with latest dental technology for missing teeth.